Despite an avalanche of irrefutable evidence that demonstrates beyond any doubt that Elizabeth Warren has no proof to back up her phony claims of Native American ancestry, the embattled Massachusetts Senate candidate doubled down and repeated her heritage lie on CNN today. “You know, I’m proud of my Native American heritage,” Ms. Warren stated this morning on CNN. Incredibly, CNN’s Starting Point with Soledad O’Brien guest host Brooke Baldwin did not challenge Ms. Warren’s false claim, despite the widespread availability of evidence debunking it. Besides the entertainment value of watching a preening moralist get her comeuppance, the Fauxcahontas incident is fascinating because it illustrates just how lazy so many of our government and quasi-official systems are. The detective work performed by the bloggers who tore Warren’s claims to pieces could have been undertaken by Harvard University, or skeptical journalists, at any time. Various layers of prestige and “credentials” were invoked to make actual documentary proof unnecessary. A lot of people took a lot of other peoples’ word for something that had a significant monetary value. Ms. Warren’s doubling down raises serious questions about her integrity in all matters, as well as that of the mainstream media reporting on her and several institutions that continue to prop up her heritage claims. One of those institutions, the New England Historic Genealogical Society, came under fire from several sources today. One of them wondered out loud if genealogist Chris Child, Director of Marketing Tom Champoux, and Vice President and Acting CEO Tom Wilcox have engaged in electoral fraud to promote Ms. Warren’s candidacy. The denials and backtracking at the NEHGS have steadily moved up the food chain. First came genealogist Chris Child on May 1st with his claims of an “1894 marriage certificate.” Then came Director of Marketing Tom Champoux from May 2nd until May 10th, who replaced Child’s actual “1894 marriage certificate” with, first, an “electronic index of a marriage license application,” then a non-existent marriage license application referenced in a 2006 family newsletter that has since been debunked. On May 10th, the New England Historic Genealogical Society officially clammed up. NEHGS does not have “a position” on the Elizabeth Warren ancestry issue particularly as the “story” has become a clearly political one and our society does not take political positions. – Thomas R Wilcox, Vice President & Acting CEO. 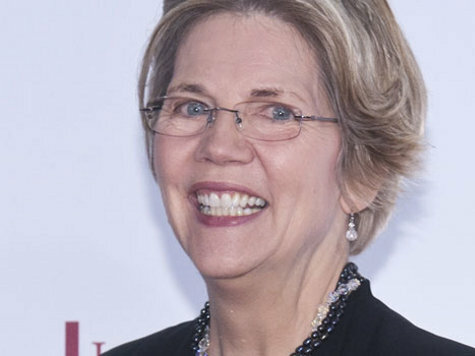 Per several requests from the media, New England Historic Genealogical Society genealogists conducted some initial genealogical research on Elizabeth Warren’s maternal family. During this research we discovered several family members who noted Cherokee Indian lineage via Elizabeth Warren’s 3rd great-grandmother, O.C. Sarah Smith (c.1794-1860s). This includes a March 2006 family newsletter that references Smith’s son William J. Crawford (1837-1900) and his 1894 marriage license application in Oklahoma. The newsletter states that, based on research conducted by Lynda Smith, the application includes a reference of O. C. Sarah Smith being Cherokee Indian. The marriage license itself does not reference race, and the original application, which Ms. Smith references, has not been located. As one of the nation’s leading expert resources for genealogy and family history research, NEHGS stands behind the research of our expert staff. The process of researching and documenting one’s family history can often be lengthy and time-consuming. As part of that, genealogists do reference research conducted by others, with further verification sometimes provided. In the case of Native American research, it’s not uncommon for families to pass down family histories orally, especially with earlier generations, as paper evidence and primary documents were not kept. We hope this helps everyone better understand the nature and process of genealogical research to uncover all the various aspects of one’s family history. There’s a fascinating account of what Professor Jacobson calls NEHGS “blog sockpuppetry” detailed in the rest of his post. Have the New England Historic Genealogical Society and its genealogist Christopher Child engaged in intentional fraud in confirming Elizabeth Warren’s disputed Cherokee heritage? No reputable genealogist or genealogical organization would ever use a family newsletter by an amateur genealogist as the basis for an opinion. They require direct documentation from a certified copy of a birth or marriage certificate or some other objective evidence. While family newsletters, or family web postings may provide a useful tip as to where the real documentation may be, they are just as likely to be dead wrong encrustations of family myth that may or may not be true, but can’t be proven. While family members may find these myths of interest, professionals like the New England Historic Genealogical Society and Christopher Child, or the New York Genealogical and Biographical Society, where I have served on the Heraldry Committee, will not accept them as documentation for any kind of genealogical claim. And they certainly won’t take a chance of embarrassing themselves professionally by making a public statement on the basis of flimsy evidence they regard as little more than rumor. But that raises the real question: what in the world did the more than 160 year old New England Historic Genealogical Society and its genealogist Christopher Child think they were doing taking what they knew was only a family rumor, putting their own reputation behind it, and plastering it all over the press? They had the research and professional in-house capability to pull up the document required to substantiate Warren’s claim. Someone has just done it, and the magic word “Cherokee” appears nowhere on it. And this should come as no surprise to any researcher in genealogy. Research in that field is full of bad information and blind alleys. But now that the actual document has surfaced, attested to by the local state officer in charge of these vital records, they have refused to comment or revise their much-ballyhooed statements to the press on Warren’s Cherokee heritage. If they continue to do so, they will have gone well beyond making a professional error. After all the questions of their credibility attending the election of a United States Senator from Massachusetts are of a good deal more consequence than assisting in the preparations of membership papers for the Society of Mayflower Descendants. And now, barring a recantation, it appears the venerable New England Historic Genealogical Society and Christopher Child have colluded in an election fraud upon the people of Massachusetts to publicly and repeatedly advantage a candidate from the Harvard Law School for political office at the expense of their own professional standards and the evidence now staring them in the face. It is time for the press to call them to account. Genealogy is all about documentation and verification. If we chase false leads we have to be able to admit them and correct them, particularly if they’ve been incorporated into family trees and messages on genealogical sites. The Warren Campaign’s earlier bizarre “offer of proof” to support their candidate’s claim of Native American ancestry is that her cousin, Janyne “Candy” Carnes Rowsey, once edited a cookbook titled: Pow Wow Chow. In our next article in this series, we’ll we explore what communications — if any — took place between the Elizabeth Warren Campaign and officials at the NEHGS prior to and subsequent to May 1, when New England Historic Genealogical Society genealogist Chris Child first made the ill-considered and subsequently debunked claim that Ms. Warren is 1/32 Cherokee.